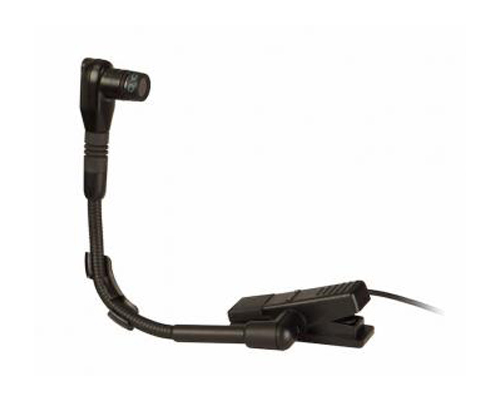 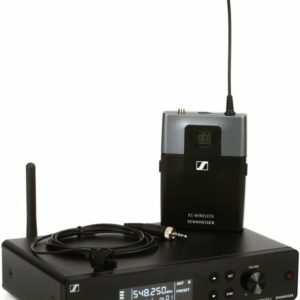 The BLX Instrument Wireless System from Shure joins world-class design and construction with simple and easy setup and operation, featuring QuickScan frequency selection and the precision-crafted Beta 98H/C flexible gooseneck microphone for brass, woodwind and percussion applications. 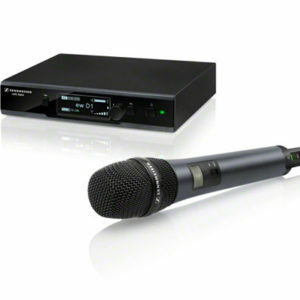 Legendary sound and performance, right out of the box. 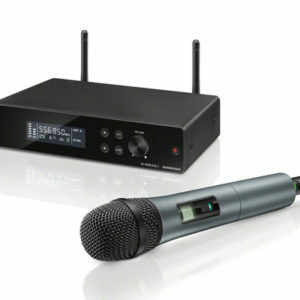 Included: BLX4 wireless receiver, BLX1 body pack transmitter, Beta 98H/C cardioid condenser instrument microphone; padded zipper case. 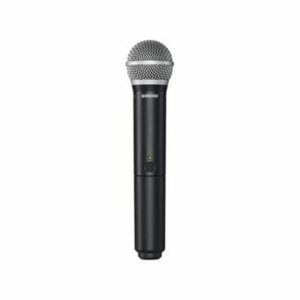 The Shure GLXD24/SM58 Digital Handheld Wireless System gives you exceptional audio clarity, amazing ease of use, and huge bang for your buck. 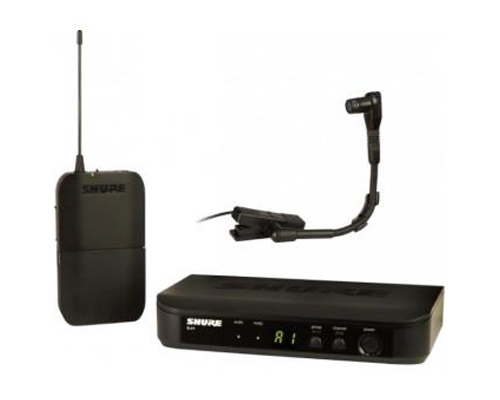 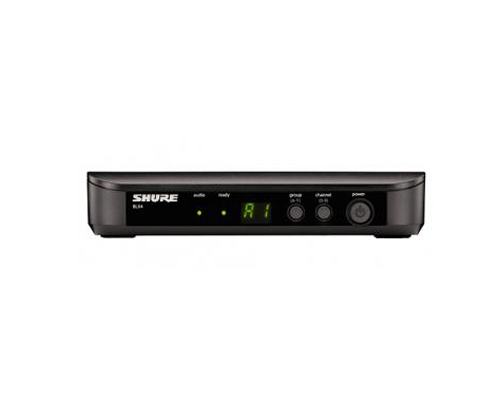 GLX-D systems feature Shure’s sophisticated LINKFREQ automatic frequency management, and bidirectional communication that lets your transmitter automatically link to your receiver and follow any frequency changes. 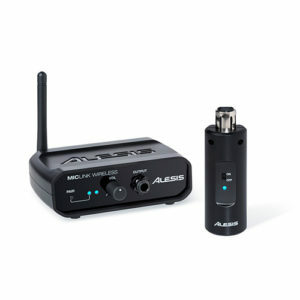 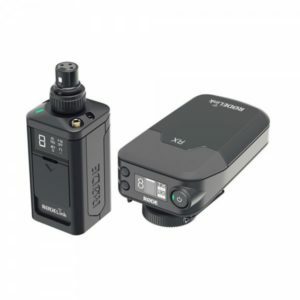 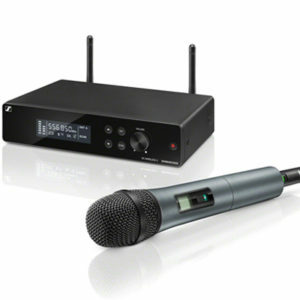 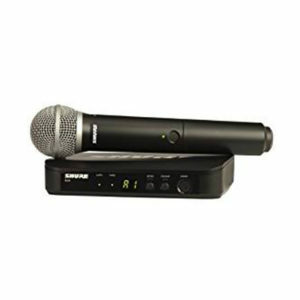 The system includes the GLXD4 wireless receiver, the GLXD2/SM58 handheld transmitter, and Shure’s SB902 rechargeable lithium-ion battery, which gives you up to 16 hours of continuous use per charge. 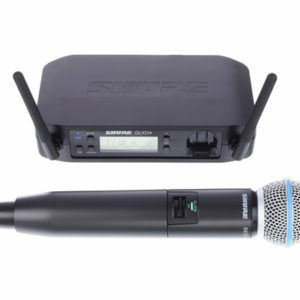 Go with smart digital wireless: Shure’s GLXD24/SM58. 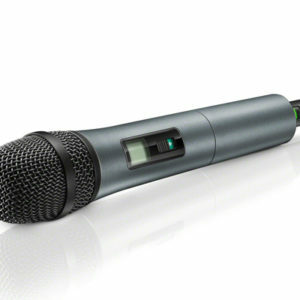 The Shure GLXD24/BETA58A Digital Handheld Wireless System gives you exceptional audio clarity, amazing ease of use, and huge bang for your buck. 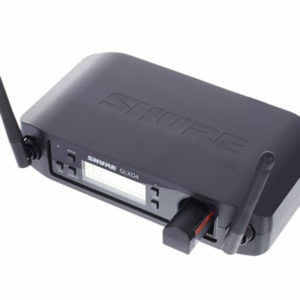 GLX-D systems feature Shure’s sophisticated LINKFREQ automatic frequency management, and bidirectional communication that lets your transmitter automatically link to your receiver and follow any frequency changes. 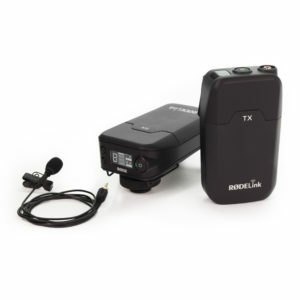 The system includes the GLXD4 wireless receiver, the GLXD2/BETA58A handheld transmitter, and Shure’s SB902 rechargeable lithium-ion battery, which gives you up to 16 hours of continuous use per charge. 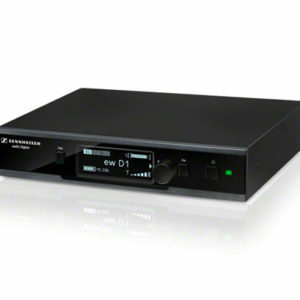 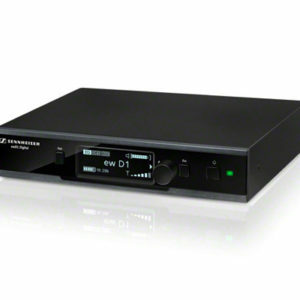 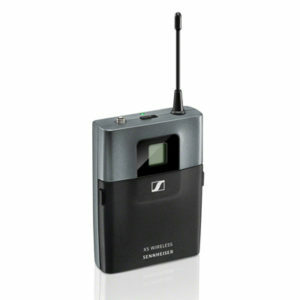 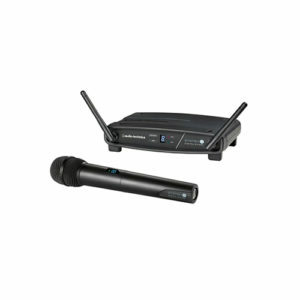 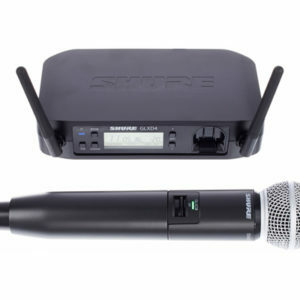 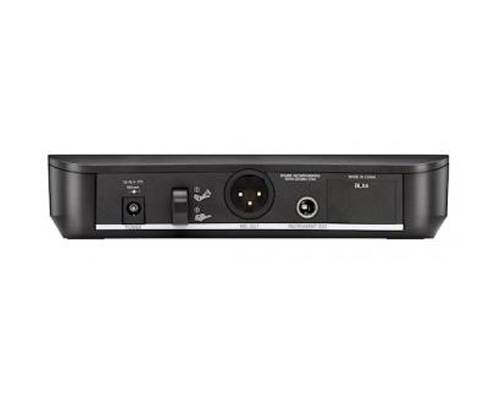 Go with smart digital wireless: Shure’s GLXD24/BETA58A.